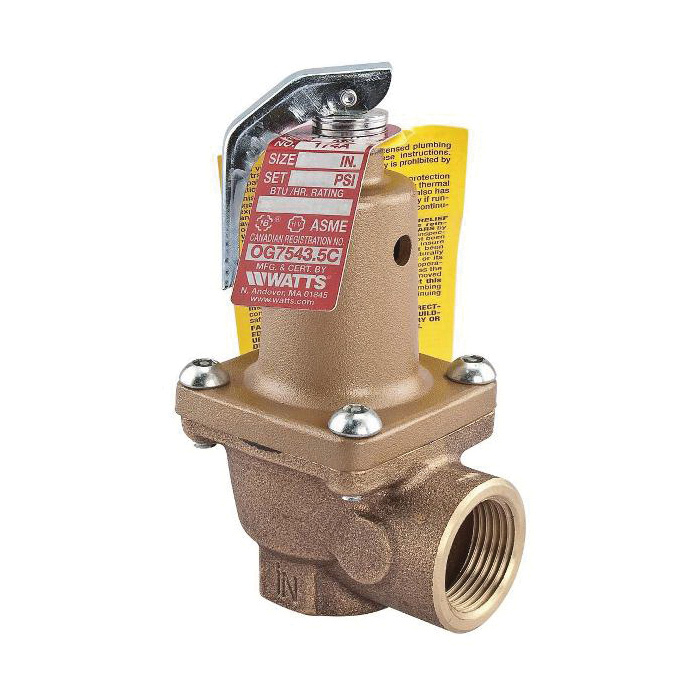 Lead Free cast copper silicon alloy body safety relief valves for pressure protection only of all types of hot water heating boiler equipment. Pressure range 50 to 150psi (3 - 10 bar) with corresponding high ratings from 2,459,000 to 14,370,000 BTU/hr. Female inlet and outlet connections. Sizes 3/4in. - 2in. (20 - 50mm). The LF174A features Lead Free construction to comply with Lead Free* installation requirements conditions, sticking and freezing, and prevents water and sediment from being trapped in the seat. It is designed for emergency safety relief and shall not be used as an operating control.